Spinach is a Green Vegetable that has a very Wide distribution. Due to its good taste and Nutritional Value, Spinach is a popular Leaf around the World. Spinach is easy to grow in your Backyard Garden or even in pots. If not possible to grow your own Spinach, don’t worry you can Buy it from the Market on very Affordable price. Spinach is delicious food loaded with tons of Nutrients in a low Calorie package. Dark Leafy Greens are really good for Skin, Hair growth and Bone health. 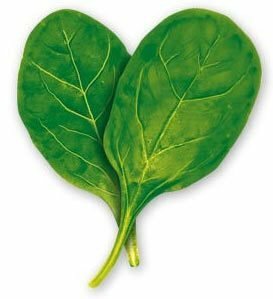 Spinach also provide Protein, Iron, Vitamins and Minerals. Spinach is a perfect leafy Green whether you’re looking to lose Weight, gain muscles or even Maintain Good Health. Improves Eyesight: Spinach is a Rich Source of Beta-Carotene and it supplied to the Eyes by eating cooked Spinach. It can prevent Vitamin A deficiencies, itching Eyes and dry Eyes. Spinach keeps your Nails and hair healthy. So you don’t have to Buy expensive products to get healthy Nails and hair, because Spinach has high amount of Vitamin A and C. These two Vitamins act as Natural Beauty Products. You can add Spinach as well as Coriander to make Potato Stuffed parathas and Bread Potato Round Rolls in your mashed potatoes with other ingredients. Spinach contains really a high amount of Oxalate. People with a history of Oxalate containing Kidney Stones should avoid over consumption. How to Make Spinach Green Juice in 2 minutes? Here you’ll learn How to Make Healthy Spinach Green Juice? which is not only simple and easy to Make, but you can make it in Cents? Even you have no Juicer, that is not a Problem. Let’s learn today in this Recipe. How to Make Green Juice with Blender? or How to Juice without a Juicer? Wash Blender and add everything together, water, Washed Baby Spinach Leaves. This Home made fresh Green Juice can make you look younger than your Real age.